The sun shade option is a white/gray box that encloses the meter. When mounting the meter outdoors in direct sunlight, this protection is vital. 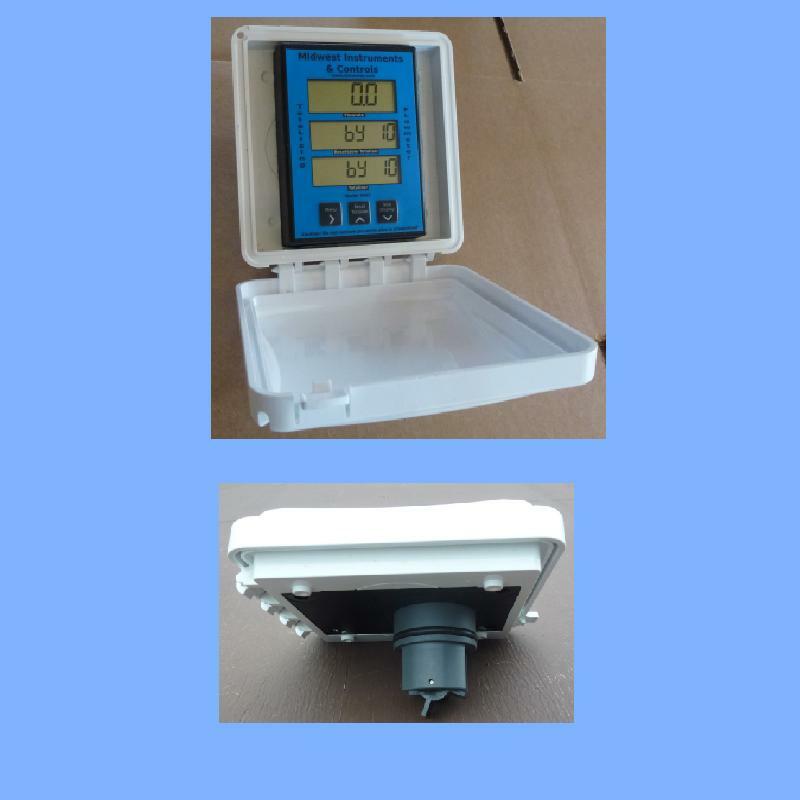 Unprotected meters in direct sunlight will deteriorate and the LCD display will fade. Opening the enclose for viewing is accomplished using a a finger actuated tab. After viewing, the door is snapped closed to keep the meter protected. The shade option is very popular with farmers and golf courses, monitoring irrigation systems. The pipe mounted series of meters utilizes the shade. When ordering a meter, select the sun shade option. For meters previously purchased, installation of the shade is also possible if you return the meter to Midwest Instruments. You can also fit the shield to the meter, it is attached using standard PVC cement. Damage from the sun is not a covered under warranty. Protect your meter.